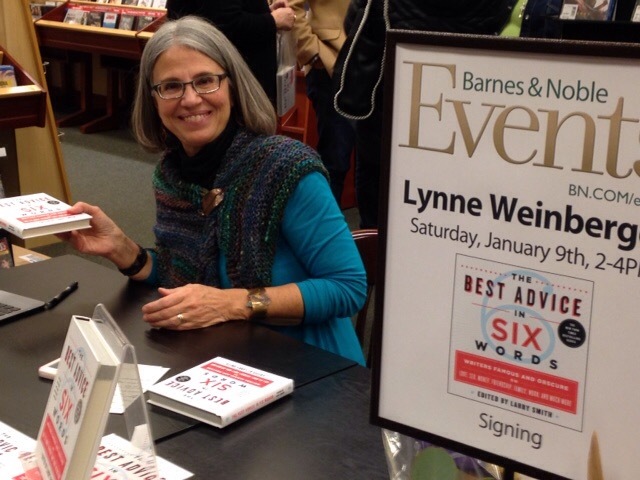 My dear friend, Lynne Weinberger, had her book signing at Barnes & Noble today. 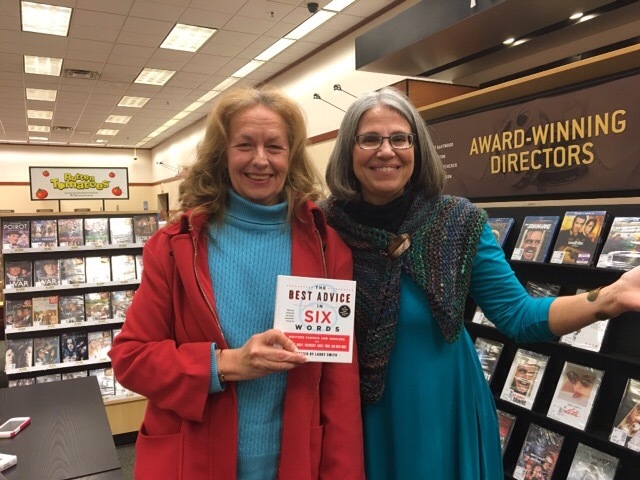 The book she is featured in is called “The Best Advice in Six Words.” Do you know how hard it is to express a feeling in exactly six words? Not as easy as it sounds. It was exciting to have Lynne sign my book. 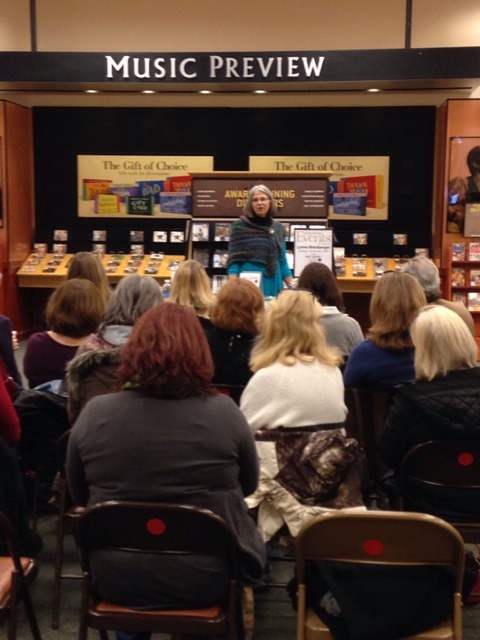 Every writer dreams about having a book signing, with friends, family, and strangers lined up to get their autograph. Dreams can come true. CONGRATULATIONS LYNNE! I am friends with a famous author! 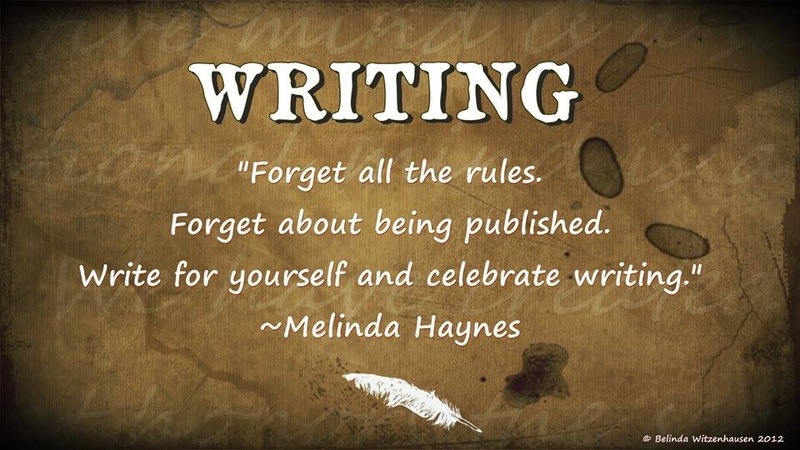 I truly love this quote! Thank you for sharing.